The dsPIC33CH Curiosity Development Board is a cost-effective development and demonstration platform for the dsPIC33CH128MP508 family of dual core high performance digital signal controllers. The dsPIC33CH has one core that is designed to function as a master while the other is designed as a slave. The slave core is useful for executing dedicated, time-critical control code while the master core is busy running the user interface, system monitoring and communications functions, customised for the end application. The dsPIC33CH is designed specifically to facilitate independent code development for each core by separate design teams and allows seamless integration when they are brought together in one chip. The board is designed to take full advantage of Microchip’s MPLAB® X IDE and includes an integrated programmer/debugger. The board requires no additional hardware, making it a perfect starting point to explore the dsPIC33CH dual core family. 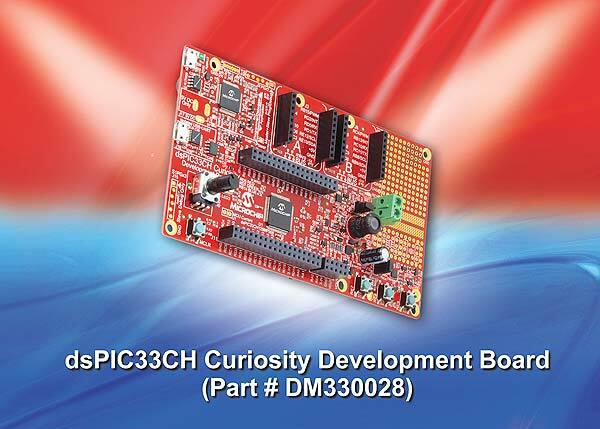 Supported by Microchip’s MPLAB® development ecosystem, including Microchip’s MPLAB Integrated Development Environment and MPLAB Code Configurator; the dsPIC33CH Curiosity Development Board is a cost-effective and flexible platform enabling customers to rapidly create a feature-rich prototype. The board supports the dsPIC33CH Plug-in Module for motor control platforms, available for Microchip’s MCLV-2 and MCHV 2/3 systems. The dsPIC33CH PIM for general-purpose platforms is now also available for the Explorer 16/32 development board. 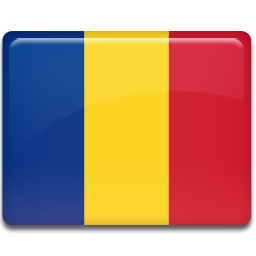 http://page.microchip.com/aziintern-dsPIC33CH.html and enter your details in the online entry form.